Google has inked a partnership with Digital Asset to explore the use of the startup’s blockchain tools on the Google Cloud Platform. The partnership will give Google’s developers access to tools with which they will develop and test blockchain-based applications without the need for additional infrastructure. 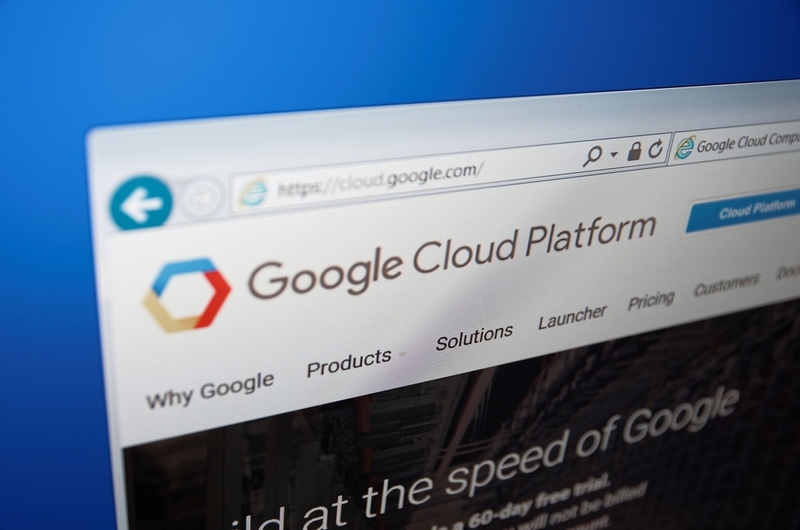 Google’s cloud services division has been lagging behind Amazon’s and Microsoft’s, and with this partnership, it aims to give itself an edge as blockchain technology becomes utilized more in the sector. Google will compete with Amazon, which already offers blockchain templates that enable developers to create blockchain-based applications with ease. With the partnership, Google will join a select group of software vendors, technology partners and financial institutions that are members of Digital Asset’s developer program. Members of the program get access to the software development kit for the Digital Asset Modeling Language (DAML). This is a smart contract language developed by the startup which developers use to create blockchain-based applications. DAML has checks that protect institutions from smart contracts whose results are unpredictable, and they uphold privacy by withholding ledger details from the developers. Digital Assets CEO Blythe Masters said the new partnership would let developers explore the full potential of distributed ledger technologies. We’re partnering with Google Cloud to provide developers with a full stack solution so they can unleash the potential for web-paced innovation in blockchain. This will reduce the technical barriers to DLT application development by delivering our advanced distributed ledger platform and modeling language to Google Cloud. The partnership will also introduce the DAML platform-as-a-service on the Google Cloud Platform, which will give developers an even bigger array of tools with which to create blockchain-based applications. The DAML PaaS allows developers to deploy blockchain applications easily and on demand. While most of the projects developed using these tools have targeted the financial services industry, they are not limited in scope and can be developed for any other industry. Headed by the former JP Morgan executive Blythe Masters, Digital Assets has grown rapidly in a very short time to become one of the leading enterprise-focused blockchain solutions providers out there. The startup, which has offices in New York, Sydney, Zurich and Budapest, partnered with the Australian Stock Exchange to replace its longstanding clearing system with a blockchain-based system in a move that was the first of its kind in the industry. The partnership is even more critical for Google, with the cloud infrastructure market becoming more pertinent to the big tech companies. While Google has the lead in many sectors in the industry, it hasn’t made inroads in the cloud business. Amazon is the undisputed leader with over a third of the market. Microsoft is second, with Google coming in a distant third with only six percent of the market. Google has continued to weigh its options in regard to the blockchain and crypto industries. Despite years of rumors that it was working on its own crypto, nothing has materialized. Its ban on crypto ads has further shown that it’s not a big fan of digital currencies. However, with Microsoft exploring blockchain technology with its Azure Blockchain Workbench and Amazon following suit with its AWS blockchain templates, Google has to keep up or risk losing out on a lucrative new revenue stream.